A report on Monday claims Apple is allowing authorized repair facilities to offer hardware upgrades to owners of first-generation Apple Watch and Apple Watch Series 1 units in need of repair, citing a temporary parts shortage. A document distributed to Apple Authorized Service Providers informs personnel that repair parts for 42mm Apple Watch "Series 0" and Apple Watch Series 1 are constrained, reports MacRumors. 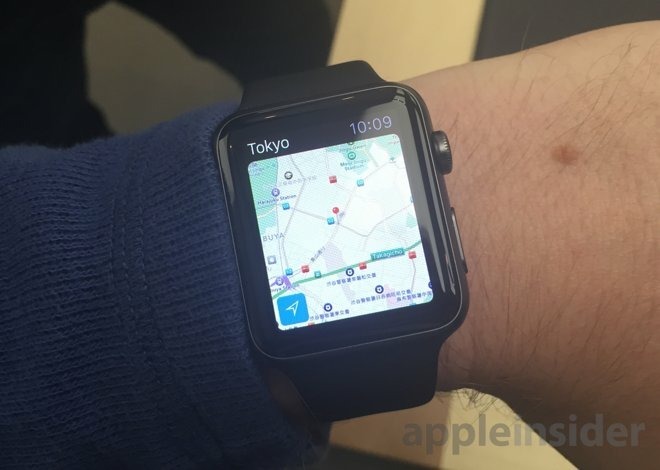 As a stopgap measure, Apple is allowing service providers to offer a 42mm Apple Watch Series 2 replacement to owners who initiate a qualifying repair, the report says. The program runs from February through April and is believed, but not confirmed, to apply to repairs conducted at Genius Bar locations. It is unclear whether the offer applies to all 42mm Apple Watch Series 0 and Series 1 styles, and the document does not specify what parts are impacted by the shortage. Apple launched the first Apple Watch in 2015, while the Series 1 debuted as an entry-level model alongside the Series 2 in 2016. There is precedent for Apple's replacement initiative. In 2017, the company presented a similar plan for owners of the aluminum-clad versions of the original Apple Watch. At the time, an AppleInsider source said a swap was not guaranteed and would be determined on a case-by-case basis. In September 2017 I received a stainless 42 mm Series 2 in replacement for an original that had popped the screen from an expanded battery. Simple and rapid process. The Apple staff I worked with treated it as standard procedure. A friend of mine from Connecticut had a silver 42mm guy series 3 and he had activity issues with stand credit. He had to see the Apple Genius 4 times already and all of the Geniuses told him to have his accelerometer replaced. Even though his Apple Watch returned and the problem wasn’t resolved, my 42mm guy told me that he believed the Apple Geniuses were refusing to repair or replace his Apple Watch, and just kept sending his Apple Watch back to its old self. I think there would be lack of the smaller components such as the Taptic Engine, accelerometer, chips and more..... Can this be a clue? My series 0 was replaced at no charge quickly, easily and without fuss or hassle by Apple -- TWICE! The first time they replaced it with another Series 0. The second time they replaced it with a Series 1. Seems like a nice solution if only temporary. I had an iPod Nano (rectangular) that was part of a recall and the original stated plan was to put the model back into production. However, in the end we received a more modern (square) Nano as a replacement. Would that include out of warranty series 1 watches? 4 years old series 1 is out of luck, even though Apples repair center said the caused was the swollen battery 🔋that pushed the screen out ..